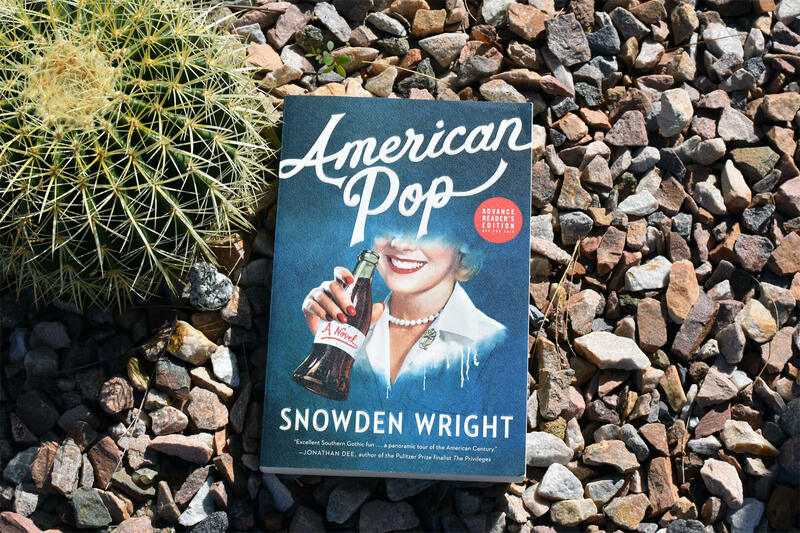 Editorial Note – I was given a copy of American Pop by Snowden Wright in return for a review. American Pop by Snowden Wright is about one family’s ascent and fall. Like apple pie, Coca-Cola is one of those products that scream “America.” So it’s a clever idea for a story to take a fictionalized spin on a family behind a soda drink that is similar to coke. American Pop isn’t so much about the business of soda but rather what happens to the family behind the drink. The story opens up at New Year’s Eve Party in the Peabody Hotel. The world is about to enter 1940. Montgomery Forster is recently elected lieutenant governor of Mississippi and his prospects are limitless, thanks to his family’s business, the Panola Cola Company. Yet, at that exact moment he’s thinking about jumping off the roof but then decides it’s not far enough. We also meet the his younger siblings Ramsey and Lance, known as the “infernal twins,” who are rivals not only in wit and beauty, but in their utter carelessness with the lives and hearts of others. Their brother Harold, as gentle and caring as the twins can be cruel, is slowed by a mental disability—and later generations seem equally plagued by misfortune. How each of these children turned out is probably not what Houghton Forster expected when he invented the fizzy drink that would transform him from tiller boy into the founder of an empire. I want to make sure and highlight this: the first chapter is so well done, one of the best I’ve read in quite some time. The first chapter of any book is difficult to get right. You have to introduce the audience to your main characters, make the reader care about them but not provide too much backstory where they lose interest. I was so impressed with how the author weaved in and out of each storyline for the main characters while also offering plenty of foreshadowing at what to expect—all in the first chapter. It’s so visual and I understand right away who these characters are and what they want. That first chapter is the gold standard. Anyway, after the first chapter, the entire novel jumps back and forth between time and doesn’t follow any type of order. The author does provide a family tree, which is very helpful as there are numerous characters to keep track of. You also learn pretty early on what happens to them so it’s not so much wondering about what will happen to them but when. However, there are a couple surprises where I did have to re-read it to make sure that’s what actually happened. When I finished the story, I was a bit at odds how I felt about the Forsters. Most of the other characters are selfish and without tact. I feel this story is bringing up the notion that inheriting wealth isn’t always deserved. While Houghton worked hard to make the business a success, that gene did not carry on to his children who are mostly disinterested in working in the business. In many ways it reminds me of a famous real-life American family that is always in the news— how wealth was given to the family but that doesn’t always equal earned success or integrity. This book covers a century of the South, although much of its complicated history is not addressed. Actually, other than the mention of the two world wars, there’s not much historical context at all. Instead it focuses on the tragedy of this specific wealthy white family but making a bigger point about the issues that can arise thanks to inherited wealth. Overall, if you enjoy family sagas, make sure you add American Pop to your list.